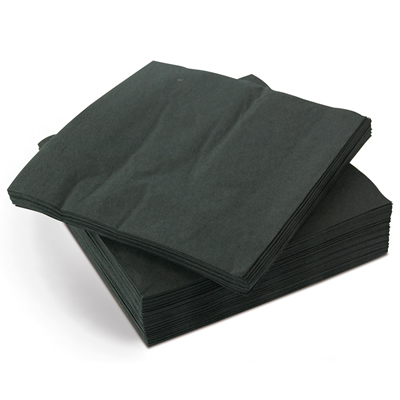 Cocktail Napkins, 2 Ply in Black. Ideal for bars and nightclubs. Each napkin is 24 x 24 centimetres. Packed 4000 napkins per box.